With growing technological advancement and digitalization all over the world, the existing traditional rail network is also believed to see massive transformations over next 7-10 years. The transformation of existing rail network would support manufacturing of smart devices and solutions such as advanced security systems, networking and connecting systems, rail operating and management systems, etc. 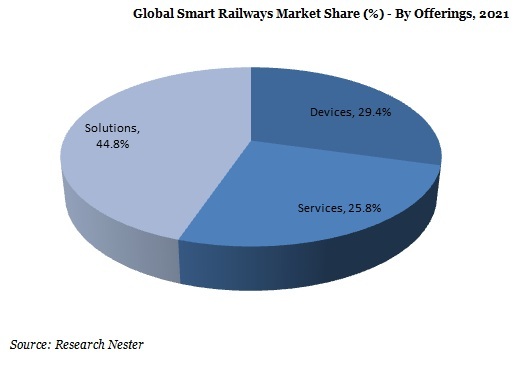 The global smart railways market is envisioned to bolster to reach new s. The main reason behind this massive growth in the market can be attributed to increasing population, growth in urbanization, increasing safety and security concerns among passengers, providing fast, efficient & hassle-free services, formulation of mandatory government regulations for implementation of smart features in railway sector and innovation in rail technology all over the world. 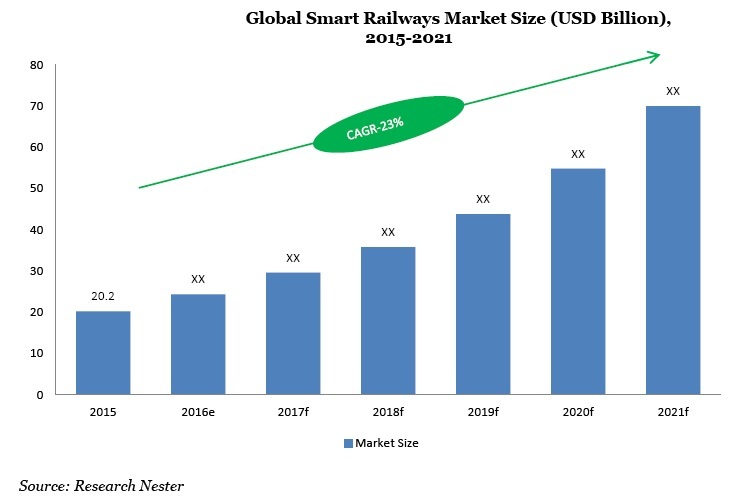 However, high security and maintenance cost requirement in smart railways coupled with security threats related to smart rail devices is expected to dampen the growth of global smart rail market in future. Further, smart railways service segment is divided into integrated, cloud and professional services. Latter is envisioned to grow at the highest CAGR over the forecast period. 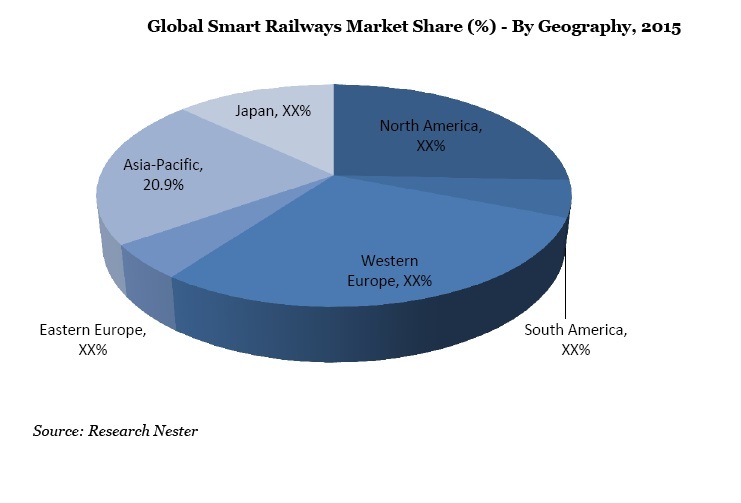 Based on the solutions, the global smart railways market is segmented into passenger information system (PIS), rail traffic management system (RTMS), advanced security management system (ASMS), smart ticketing, rail operations and management systems, rail communication and networking systems and others. Out of all the solutions provided, the passenger information system or the PIS market is anticipated to witness the highest CAGR growth rate during the period of 2015-2021. Increasing developments of smart and mega cities in some of the major regions of the world including Middle East and Asia-Pacific, is believed to be a major growth opportunity for smart railways market over next 4-5 years.